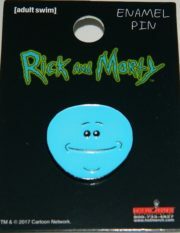 This is a die-cut metal enamel pin featuring the image of the Blips and Chitz Logo from the hit Adult Swim animated TV series Rick and Morty. This is a new and unused pin measuring 1.375″ wide that we purchased direct from the manufacturer and is stored in a smoke and pet free environment. 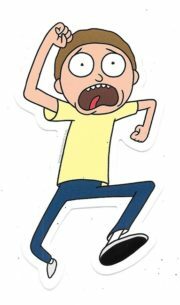 Produced in 2017 this is a peel off vinyl sticker that features an image from the popular Rick and Morty animated TV series. 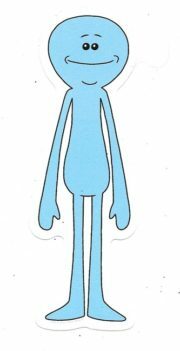 This one measures approximately 4.75″ x 3″. It is new and unused and is stored in a smoke and pet free environment. 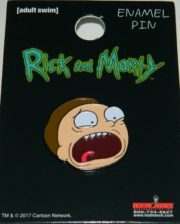 This is a die-cut metal enamel pin featuring the image of the Council of Ricks logo from the hit Adult Swim animated TV series Rick and Morty. 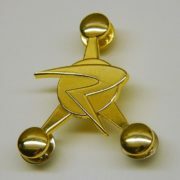 This is a new and unused pin with a bright gold toned finish measuring 1.75″ wide x 2.25″ high. 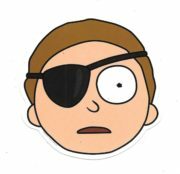 Produced in 2017 this is a peel off vinyl sticker that features an image from the popular Rick and Morty animated TV series. 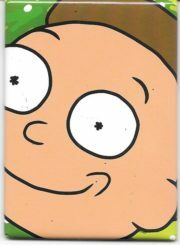 This one measures approximately 3.5″ x 3.75″. It is new and unused and is stored in a smoke and pet free environment. 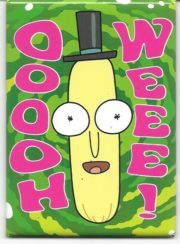 Produced in 2017 this is a peel off vinyl sticker that features an image from the popular Rick and Morty animated TV series. This one measures approximately 4″ x 3.75″. It is new and unused and is stored in a smoke and pet free environment. 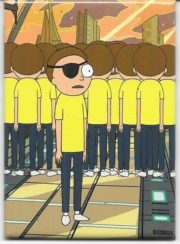 Produced in 2017 is this 3.75″ high and 2″ wide colored metal key chain/key ring that features the head of Morty from the hit Adult Swim animated TV series Rick and Morty. 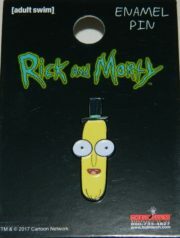 This is a mint, unused key chain/key ring. 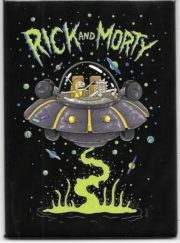 Produced in 2017 this is a peel off vinyl sticker that features an image from the popular Rick and Morty animated TV series. This one measures approximately 2.5″ x 4.75″. 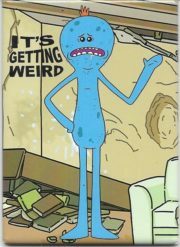 It is new and unused and is stored in a smoke and pet free environment. 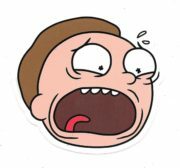 Produced in 2017 this is a peel off vinyl sticker that features an image from the popular Rick and Morty animated TV series. This one measures approximately 1.75″ x 5.25″. It is new and unused and is stored in a smoke and pet free environment. 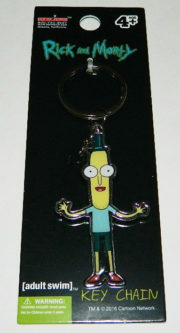 Produced in 2017 is this 3.75″ high and 2″ wide colored metal key chain/key ring that features the standing figure of Mr. Poopybutthole from the hit Adult Swim animated TV series Rick and Morty. 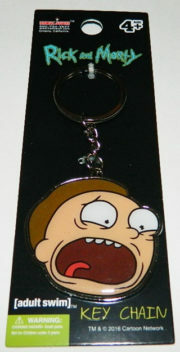 This is a mint, unused key chain/key ring. 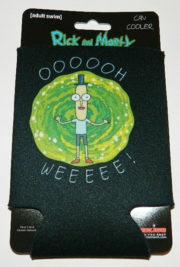 From the Adult Swim TV series Rick and Morty, this is a new and unused can cooler huggie. 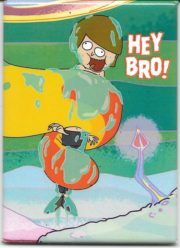 Spot Clean recommended.